00:38 – Pasternak 12GHz-14GHz continuously tuneable 20dB attenuator. How does it work? 11:02 – Ultra-high efficiency triple jacket glass distillation dewar. 14:59 – AWG PLC 8-way WDM splitter on 50GHz channels. 24:15 – PCB embedded D-Band waveguide with Vivaldi launch end-points. 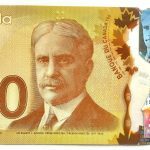 28:45 – Hidden security features of the Canadian currency. 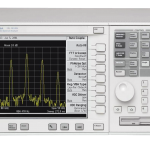 In this episode Shahriar takes a close look at a defective Agilent E4440A spectrum analyzer. Initial analysis reveals that the startup errors are caused by a defective pre-amplifier module. During initial alignment and calibration, the defective microwave relays inside the pre-amplifier module fail insertion loss specifications and cause alignment failures. Unfortunately, the relays are not repairable and must be replaced. Two new relays are purchased and replacement clears all alignment issues. The main motherboard battery has also failed; a replacement battery corrects any time and date keeping errors. The repaired instrument is cycled through several alignment procedures without any problems. The performance of the unit is verified by examining the DANL of the instrument with and without the pre-amplifier activated.